It’s a sad day in the world of entertainment. Robin Williams just passed away due to an apparent suicide. We may never know why he did it and why he was having depression issues. I don’t wanna get into the negative stuff. I don’t wanna speculate so lets celebrate Robin’s career in a positive way. Like most, I grew up watching his movies and followed his career ever since I was a child. 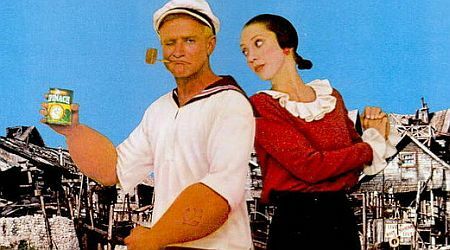 He got his start in the TV sitcom “Mork and Mindy” in which he was most famous for and then he got his first film role in “Popeye” which is one of my favorite films of his. Robin Williams was more than just an actor. He was multi-talented. He’s not just a comedy actor either. He could play anything that throws at him in the movie business. He didn’t just play comedy roles. He did pretty much every genre in the movie business. Whatever he did, he played well. Other than comedy films, he has done some serious dramas like, “Dead Poets Society”, “Awakenings”, and maybe a few others. He has also done a few violent and dark thrillers like “One Hour Photo” and Christopher Nolan’s “Insomnia” in which he played the bad guy. He could do it all. He could play funny and hilarious characters to lovable family-friendly characters to dark and evil characters. When he did play in comedy movies, he didn’t just do movies for kids either… he did R-rated Comedy for adults with films such as “The Birdcage”, “Cadillac Man” and “The Fisher King” which all of those are great movies. He did other well known films such as “Hook”, “Jack”, “Jumanji”, “Flubber”, “Toys”, “Death To Smoochy” and the list goes on. He was also a stand up comedian who would do stand-up comedy shows from time to time. Robin Williams was a genius and a great talent. A very sad loss in Hollywood. Like most, he was an inspiration and a hero to me. I looked after him myself. Look like “Mrs. Doubtfire 2” isn’t gonna happen ’cause remember, they greenlighted that movie earlier this year and Robin was game to returning to that role too. So sad. Wonder what’s gonna happen to “Doubtfire 2” now??? They’re probably not gonna go forward with the film now, I would think. They should probably trash the film. GOOOOODDDD MORRRRNNNINGGGG VIEETTTNAAAAAAMMMMMMMmmmmm… just had to do it!!! 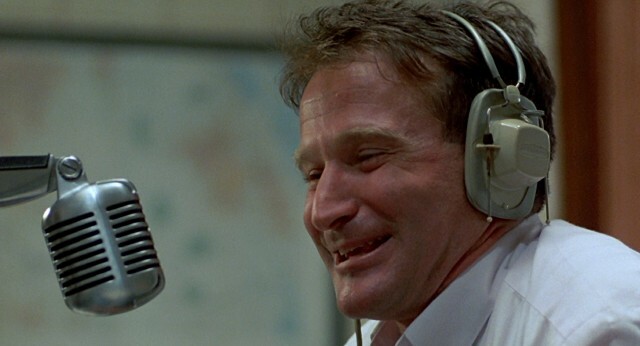 Robin Williams suffered from bipolar disorder, so that might be a factor. Did you know that Mork and Mindy was a spinoff from the tv show Happy Days? That was where Robin Williams Mork character first appeared. And He was doing standup before he started acting. Very sad that he’s gone. He was one of the funniest people alive.